Scale has been applied (Ctrl+A). 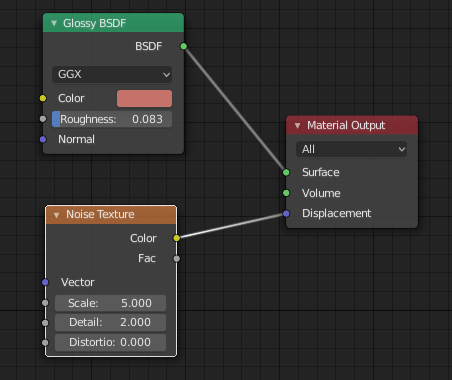 Is there a way to make the displacement the same 'scale' on objects of any size? This was created using Blender 2.8 beta. 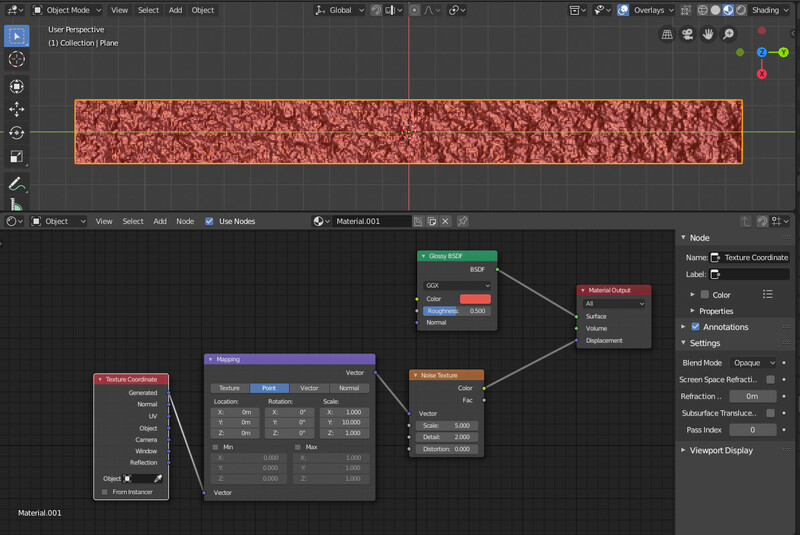 To have consistent scale, create an Empty in your scene and make it control the texture scale. Scale (, Rotate, Move) the Empty to make the feature the size you want. This will apply in a coherent way to both objects that share that material. Note: if your object is going to be moved in animation, and you want the texture to stick to it, then you should either (1) parent the empty to it, (2) consider following Mark Jackson's answer (although you will need to adjust the proportions of the texture manually), or (3) use an UV map. 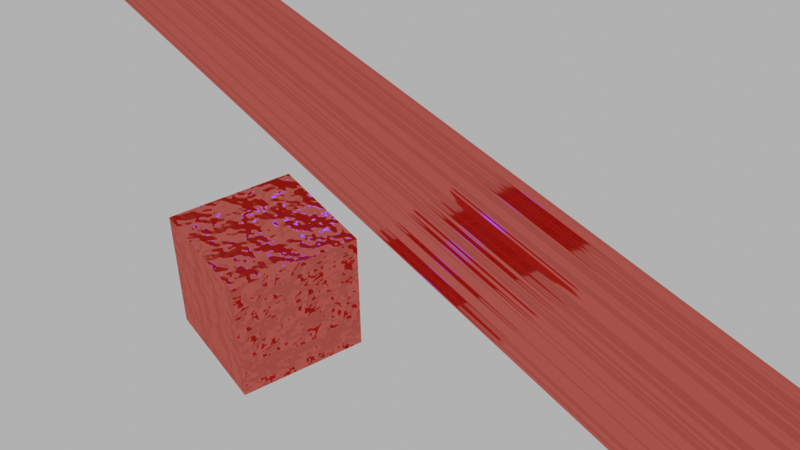 If you don't use UV textures, then applying materials will try to fit it to the entire object. 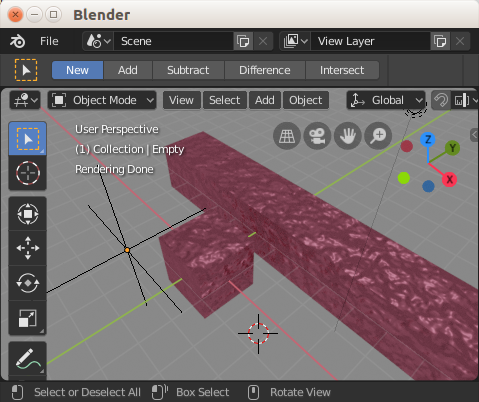 So if your object is long, then it will stretch to fit your mesh. 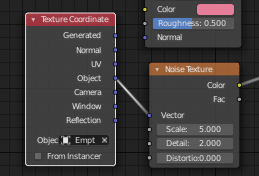 To fix this, in your node editor, press "Shift+A" > "Input" > "Texture Coordinate" Press again "Shift+A" > "Vector" > "Mapping"
Connect them up like this and in your Mapping Node, using the Scale to make the noise texture fit to the object. In my case I used the Y axis and increased the Scale of Y by 10. I hope you can see it ok in the image and that this helps you. Not the answer you're looking for? Browse other questions tagged cycles nodes displacement or ask your own question. How to Use the Mapping node? 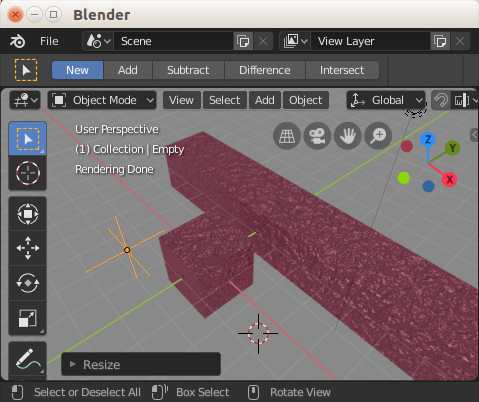 How to apply a displacement modifier to one area of an object from an image? How to even out/scale this material?